Keyword is a term in search engine optimization, the particular word or phrase that describes the contents of a web page. Keywords serve as clues or shortcuts that summarize the content of a page and help search engines match pages with searches. When doing business online, thinking of the keywords that you want to rank on, is a really important question that you should figure out as early in the process as possible. Before choosing the keywords for your business, you start with research and make sure which websites already rank for these keywords in search engines. You probably don’t want to choose one with a very high competition. Furthermore, before choosing the right keywords, you should make sure that people are actually interested in these topics and are using this specific phrase to perform their searches. 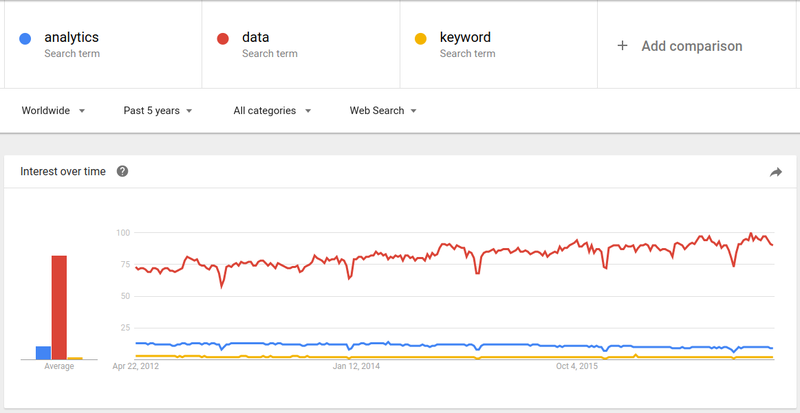 One of the best tools to get you started in working with keywords is Google Trends. The process of optimizing your website for specific keywords in order to make them rank high in search engines is called search engine optimization. If you are interested in SEO, take a look at Moz blog.